Installation of the 4 x AJ275 AGCO Powered generating sets. 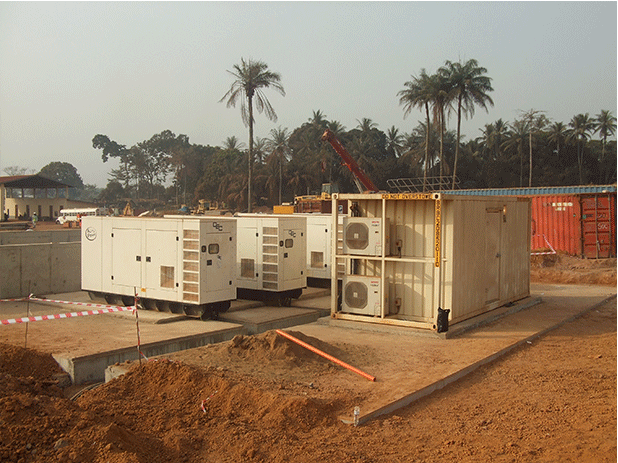 AJ Power has supplied 4 x AJ275 with synchronising controls and an air conditioned switchgear container for the mining company in West Africa. The generating sets power an iron ore site which includes offices, canteen, site doctor’s house as well as a stock piling and barge loading system. 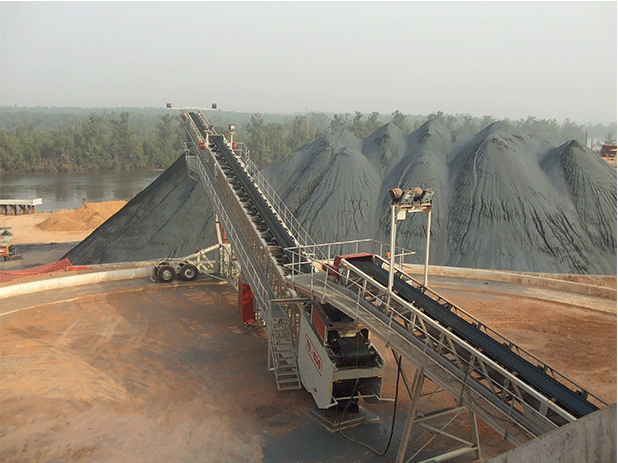 The stock piling and barge loading system is a system comprising of a series of conveyors for trucks unloading the iron ore and the loading of the iron ore onto a barge for shipping. The iron ore is hauled 25km by a fleet of twenty lorries from the mine to the river where it is loaded onto a waiting barge. It is then shipped from here down the river to the Atlantic Ocean. 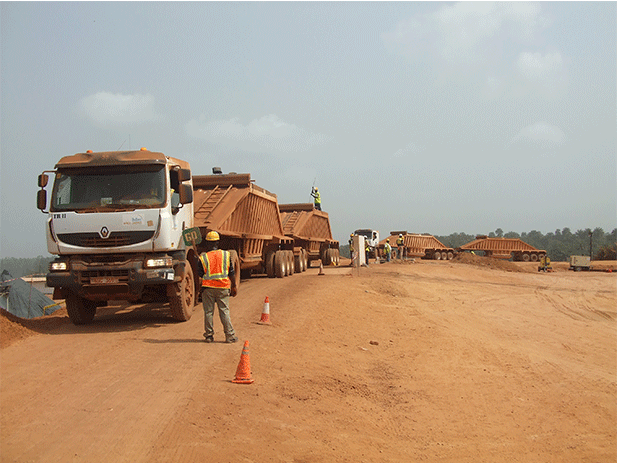 Fleet of 20 lorries transport the iron ore to the barge. 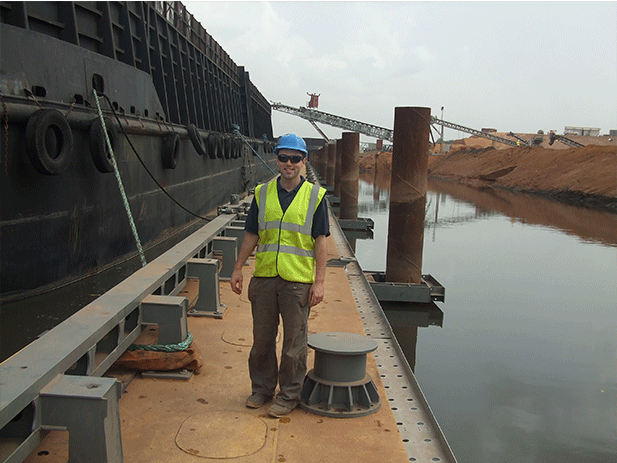 AJ Power Senior Electrical and Electronic Engineer Eugene Devlin, pictured with the barge that transports the iron ore to the Atlantic Ocean. The site is operational 24/7, with no mains power at the site therefore the four generating sets are critical to the day-to-day operation. 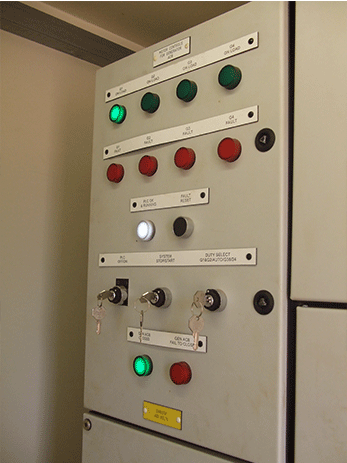 When the system is started in the switchgear container, all four gensets will start up and synchronise together, closing all their breakers. 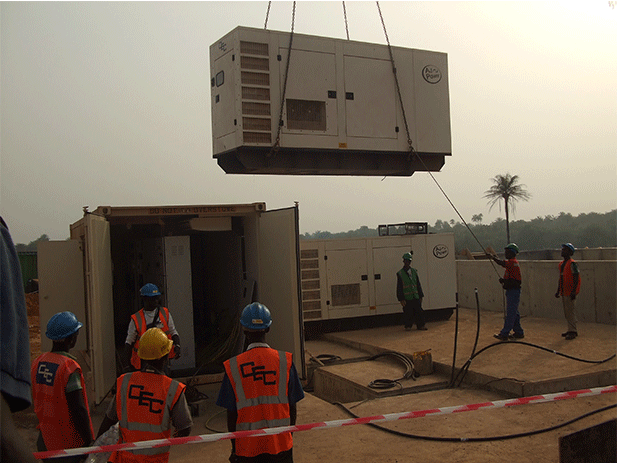 When all 4 gensets are on load, the PLC controlled 1600A main feeder ACB in the container will then close, powering the site. PLS system which manages and controls the ACB and remote start signals to each of the 4 gensets. 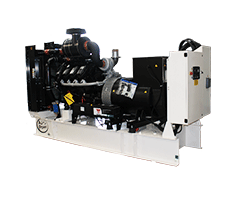 After a 1 minute time delay, the gensets go into Power Management Mode where they either open their breakers and shut down or stay on-line, depending on the load level of the site, i.e. the number of conveyors that are running at that point in time. 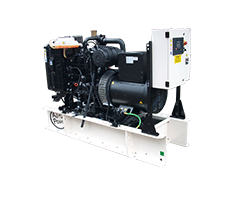 If only one genset is on-line and the load level of the site increases, another generating set will automatically start and come on-line to support the extra load. Again if the load level of the site were to increase further, the third generating set will start and go on-line. As the peak load level on the mining site can be powered by 3 of the 4 gensets, the genset that is priority 4 will be back-up in the event of failure of one of the other 3. It operates as an N+1 redundant standby system. 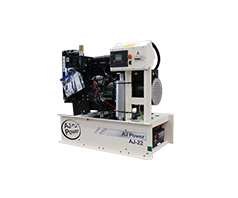 The genset with priority 4 will be the one with the most engine running hours at the point in time of one of the others failing. 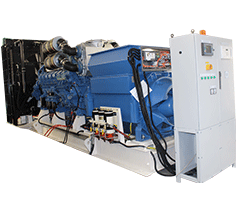 These COP (continuous power) gensets continue to work in a very harsh, dusty environments, with an ambient temperature that can reach 40DegC.